ENJOY SPECTACULAR SAVINGS EVERY THURSDAY WITH YOUR 3 AMIGOS! 1. START WITH A MARGARITA MADE WITH FRESH LIMES 2. 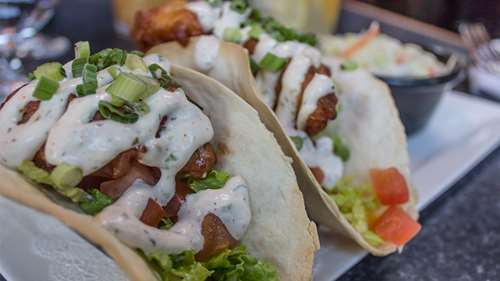 ADD A HAND BATTERED FISH TACO WITH “ZIPPY WHITE SAUCE” 3. ADD A PILE OF CHEESY NACHOS WITH SEASONED CORN, BLACK BEANS, CHICKEN & JALEPENOS MADE TO ORDER. YOU CAN’T GO WRONG WITH THE 3 AMIGOS FOR JUST $12.